British Sausage Week 2013 is here! The most important week for sausage lovers all around the World. This year the special events aren’t just limited to the UK, the rest of the sausage loving World is getting involved too! This year British Sausage Week runs from the 4th – 10th November and there are events and celebrations happening all over! You can find out more here. I headed down to the official launch at Old Spitalfields Market to find out more about the week. 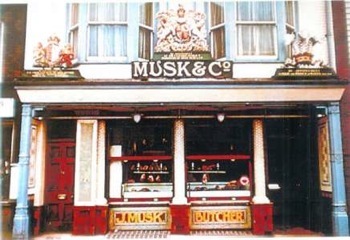 There was a great launch event with literally 100s of different types of sausages on display! And also on hand were the lovely Ladies in Pigs. They were cooking up amazing sausages for everyone to sample! 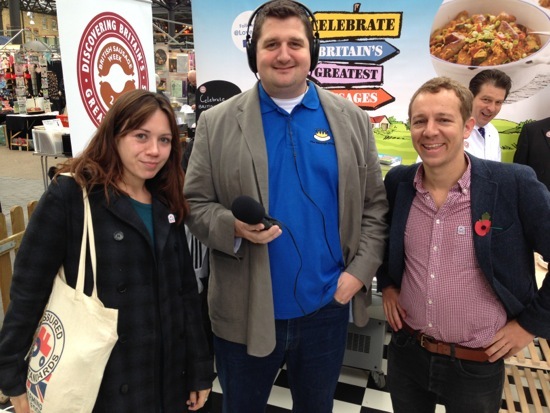 I also got chance to interview the lovely people from Red Tractor and find out more about their work. The interview is here so make sure you click over to find out why you should Trust the Tractor! 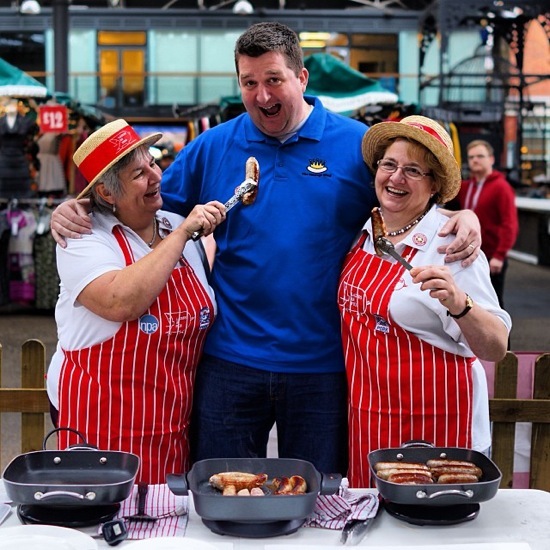 As if all this wasn’t exciting enough they had also laid on a Sausage Sommelier to talk to visitors about all aspects of sausages and to provide recipe ideas and inspiration! The Sausage Sommelier was Shaun Vining from Complete Meats in Axminster. Such an awesome choice! 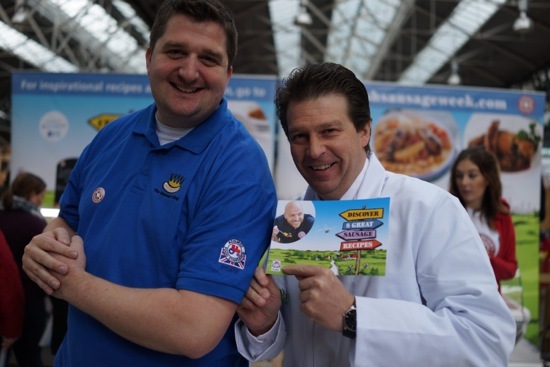 As an award winning sausage maker himself Shaun was able to provide some great ideas and tips to people who came to talk to him. I grabbed an interview with him which will shortly be available on The Foodie Fix. 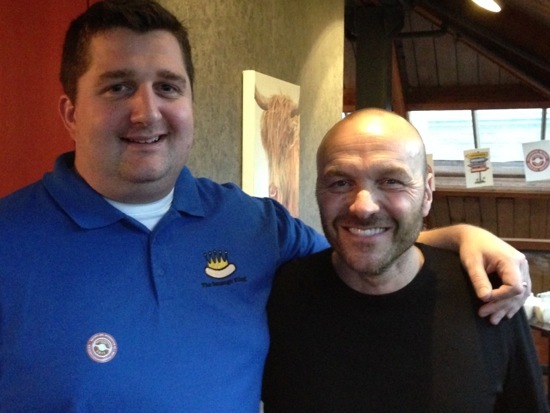 Then I had a good old chat with Simon Rimmer who is the ambassador for British Sausage Week. And what a perfect ambassador he is too. Simon is a big character who brings genuine enthusiasm and passion to the roll. My interview with him is on The Foodie Fix website. On The Foodie Fix radio show next week I’ll be bringing you an update on all of the events taking place around the World. Tweet me (@sausagekinguk or @thefoodiefix) to let me know about your event.